Use the alphabet wall charts with the following books. 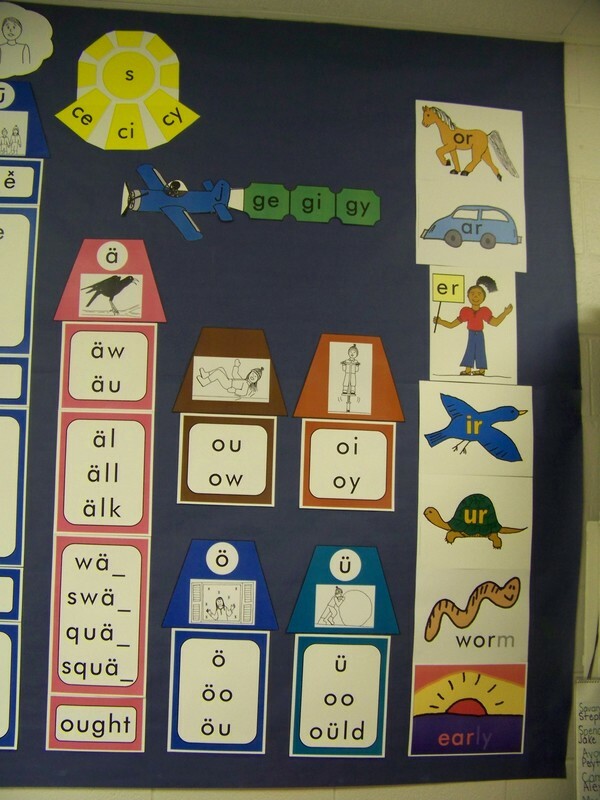 These alphabet charts are also included in the short vowel and phonics patterns charts. These charts should be printed on white 11" by 17" ledger sized paper. Some assembly is needed, involving cutting and taping some of the pages to other pages for charts that are too large to fit on a single page. 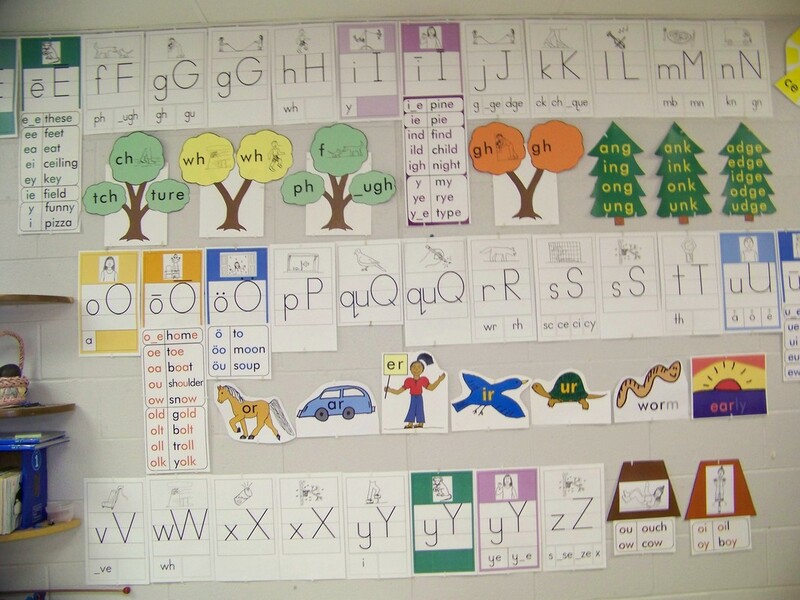 These charts include the alphabet charts. 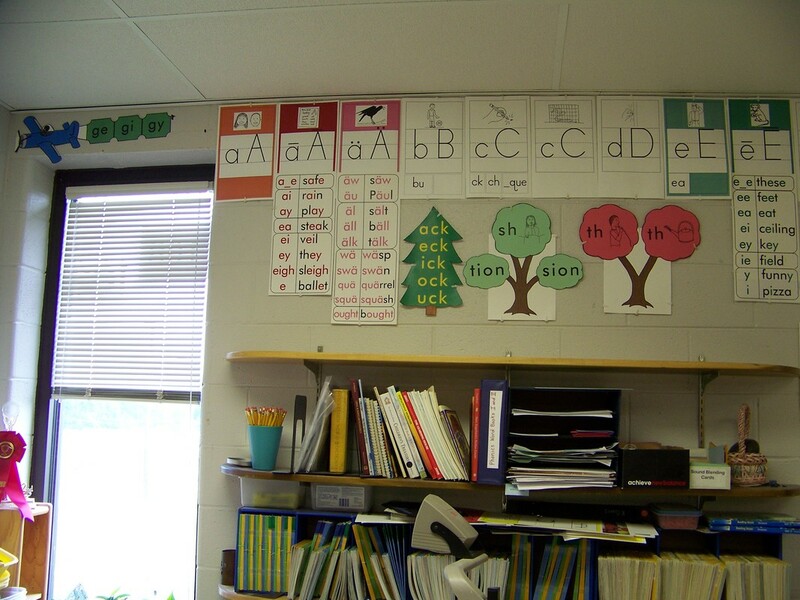 ​Using the short vowel wall charts with any of the short vowel books. 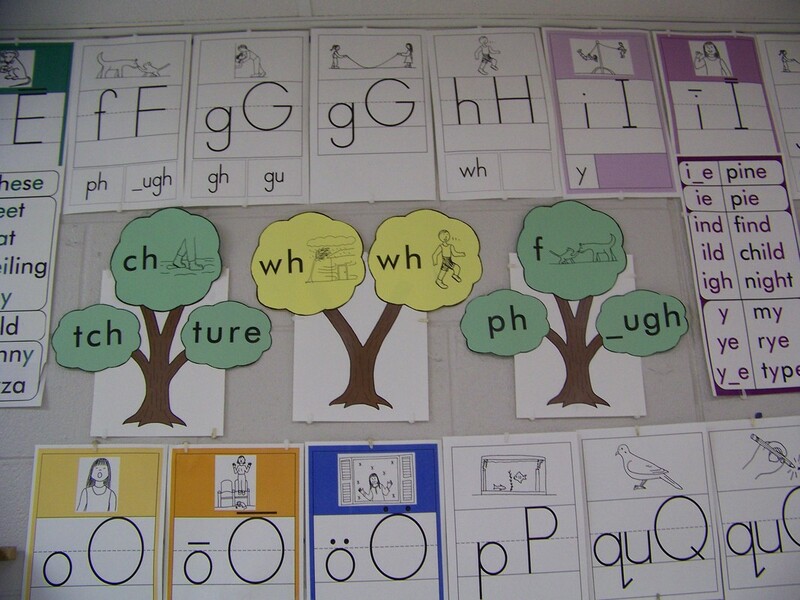 As students work through the phonics patterns level, for some patterns they will learn only one sound initially and then will learn one or more additional sounds for the same pattern in a later book. In this case, more than one version of the charts that show those patterns are included. This is done so that students are not confused by seeing sounds they have not yet learned. Use the phonics patterns charts with the following books. I've updated an older version of the wall charts, creating two different versions. 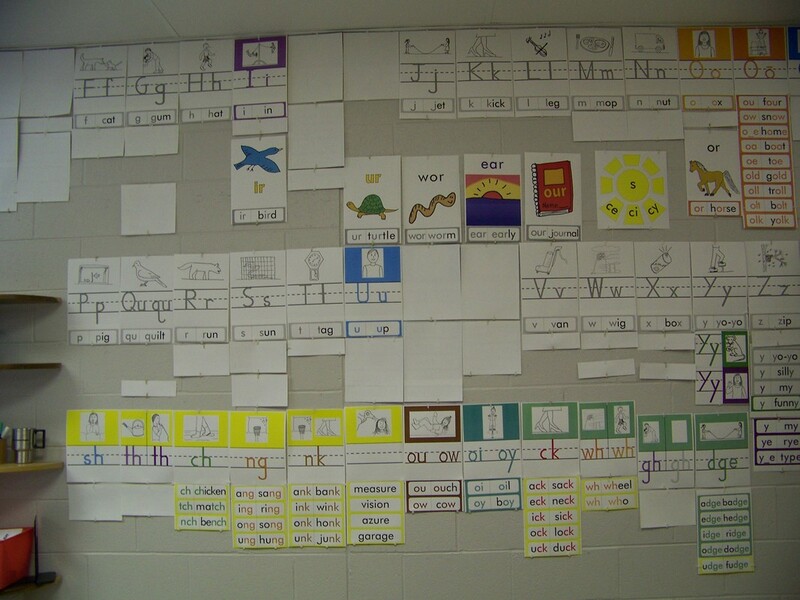 The sets include alphabet wall cards to be printed on legal sized paper or card stock. 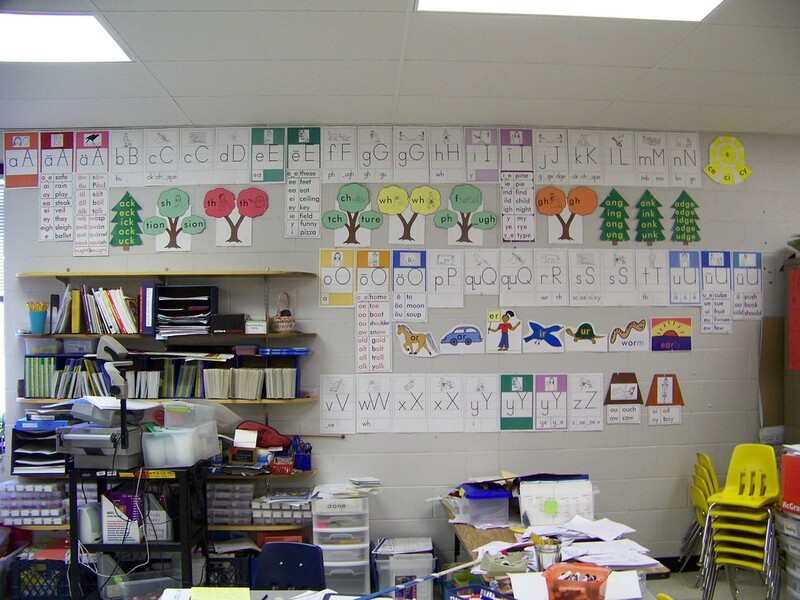 Each card shows a model of the correct letter formation for a letter of the alphabet, along with a sound picture in color from A Sound Story About Audrey And Brad. The sound picture shows the sound for each letter. In addition to the letters of the alphabet, letters and letter patterns from Part 2 of the sound story are also included. 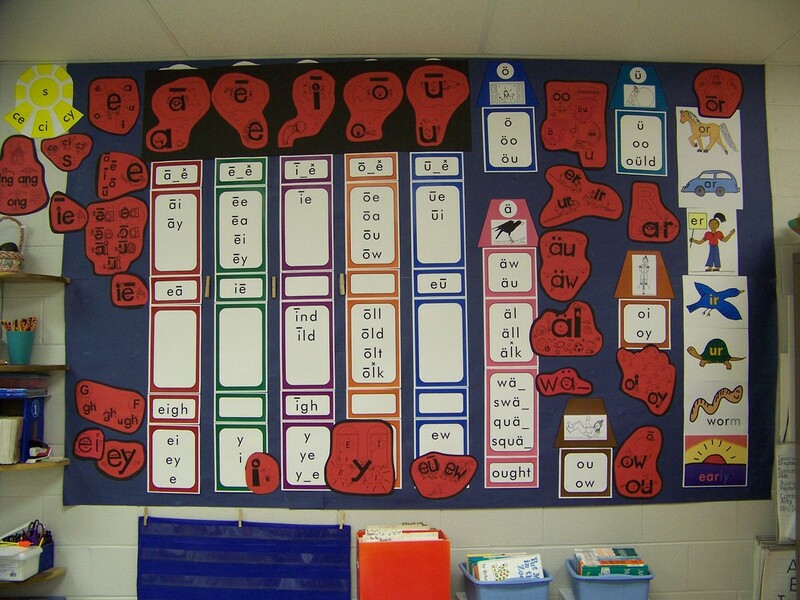 These are the "Beyond The Alphabet" sounds, which include the long vowel and dotted vowel sounds, two vowel diphthong sounds, and five consonant digraph sounds. If a sound picture can be represented by more than one letter or letter pattern, the additional patterns are shown in smaller print at the bottom of the page. In version one, all of the letters and letter patterns are printed in black print. 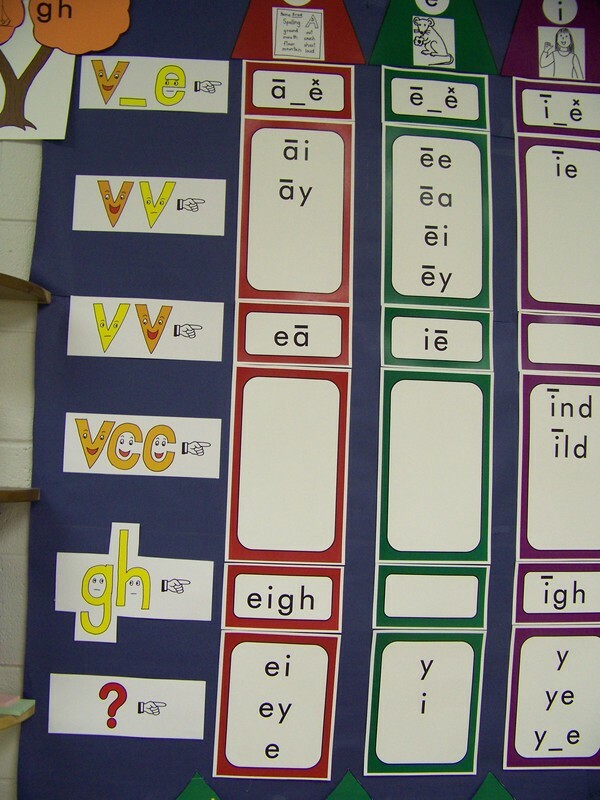 In version two, the vowels are printed in specific colors to indicate specific vowel sounds. You can listen to the sound story read aloud under the audio tab on the menu. Part 1 of the sound story can also be played as a set of videos under the video tab. You will be able to hear the sound represented by each sound picture and the letters that represent each sound. I'm adding links to the older wall charts from the previous web site. When I can, I'll sort out the pictures and put them with the correct PDF files. At this point, I'll get the files loaded so you can download them and see if they are what you need. 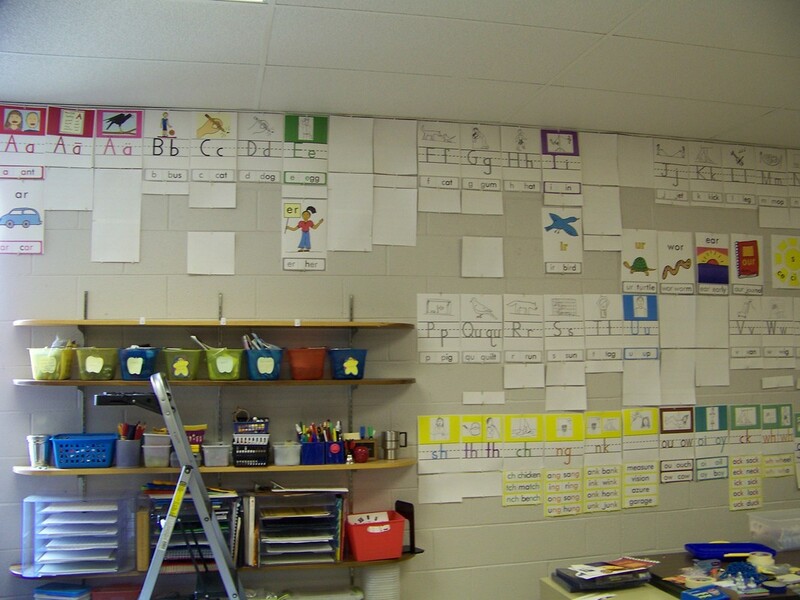 These are charts I had on my first grade classroom wall at various times from about 2005 through 2011. Even though I've added newer charts (see above) to match the charts in the newer Sound City Reading books, I still really like these older charts. Here are some miscellaneous pictures of the older wall charts. The crayon chart pictures are farther down on the page. Click on any picture to enlarge it. PDF downloads are available below. On the charts below, the patterns that have not yet been introduced have been turned to face the wall. Or perhaps, I was in the process of putting up the various pieces and hadn't finished yet, using the blank pages as place holders. 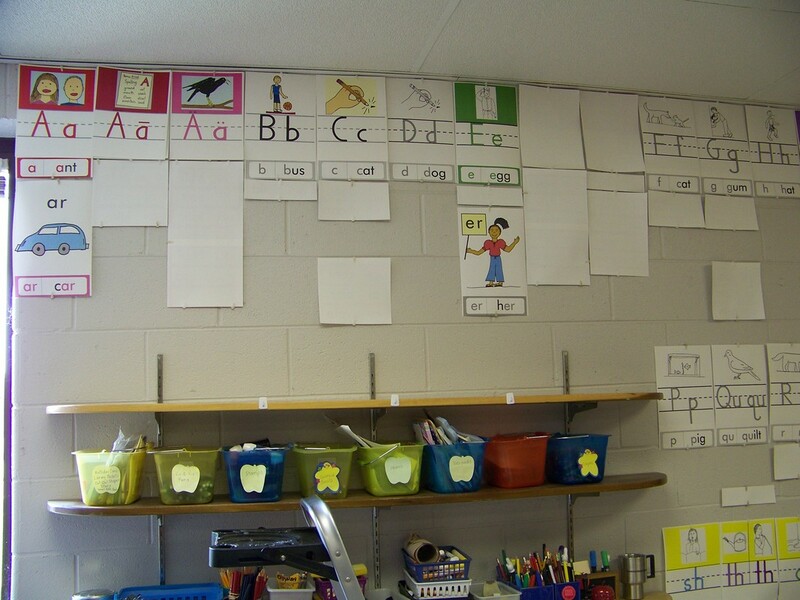 These charts have black and white sound pictures and show the alphabet letters on lines for handwriting reference. Both long and short vowel sounds are included, along with some extra sounds, such as sh, oi, etc. 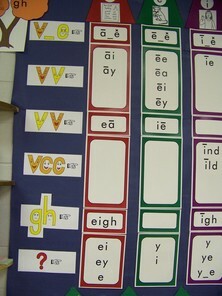 The various vowel patterns are shown on either colored backgrounds or plain white backgrounds. 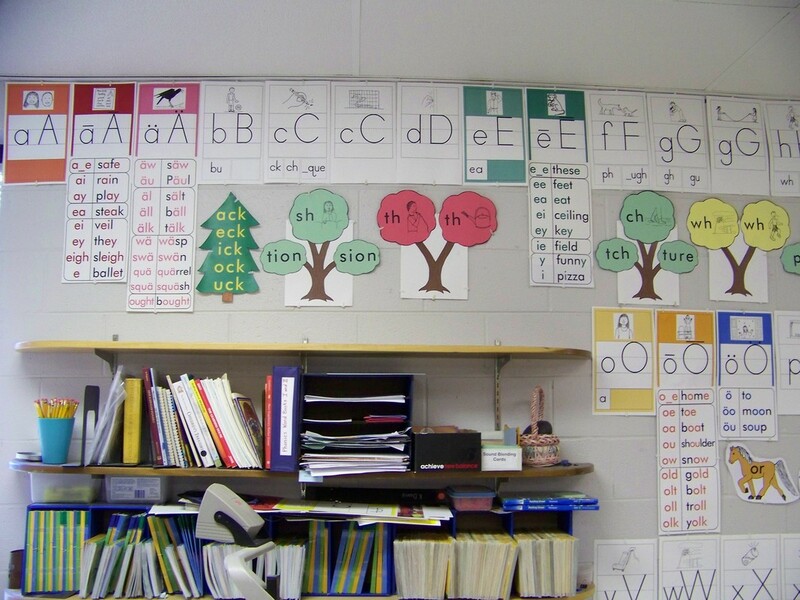 On these charts, lower case letters are shown before the capital letters, because these are the letters most frequently used by the students. 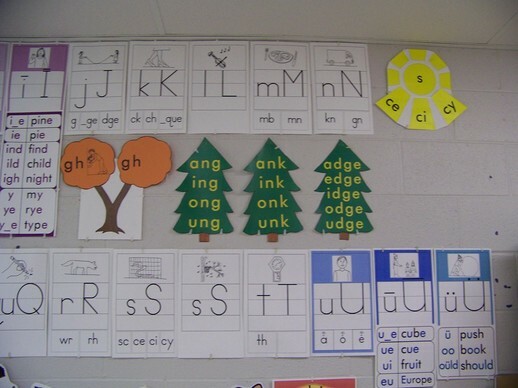 These alphabet cards show only the consonants and short vowels. The sound pictures are in color. 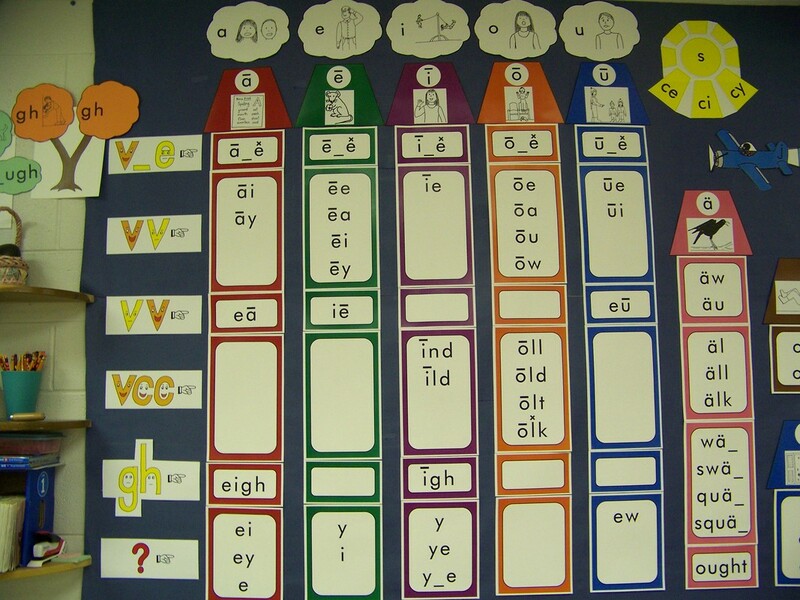 The short vowels are printed in a specific color for each short vowel. On these cards, the capital letters appear before the lower case letters. These charts should be printed on 11" by 17" paper. They include color-coded phonics patterns with key words. 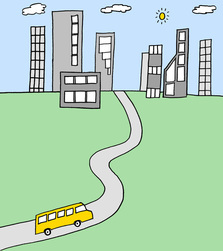 Patterns are included for short vowels, long vowels, dotted vowels, odd o patterns, bossy-r patterns, and beginning and ending consonant digraphs. Print these full color charts on legal sized paper. 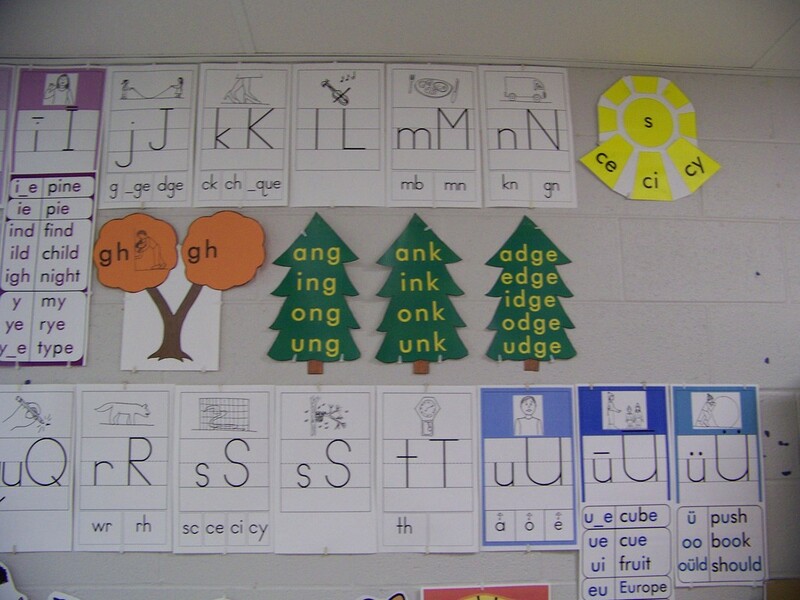 Large designs show bossy r patterns with pictures to illustrate key words, evergreen trees to show ack, ang, ank, and adge ending sound patterns with each short vowel, a sun image to show the ce, ci, cy patterns, and an airplane picture to show the ge, gi, gy patterns. 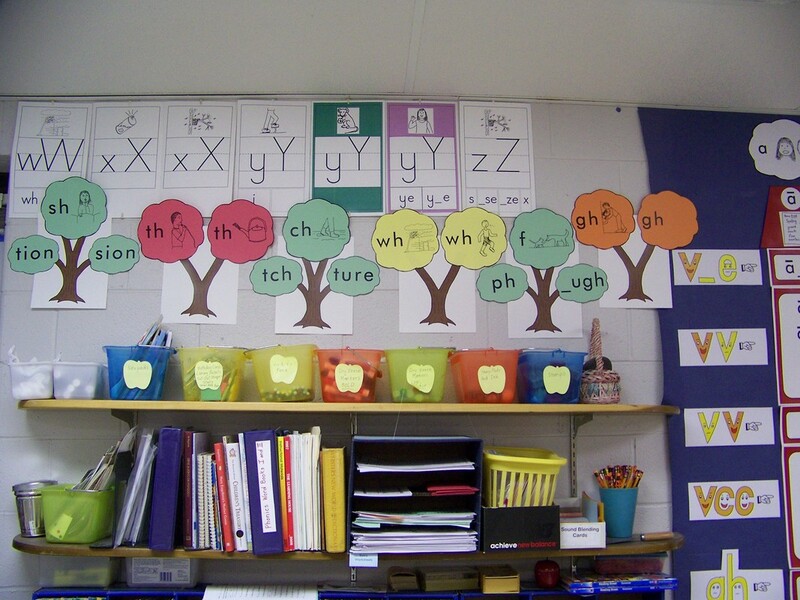 Print these digraph forest pictures on green card stock to use with the brown tree trunks included in the set described above. 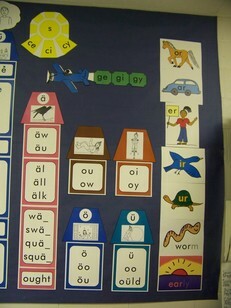 Includes phonics patterns and the related sound pictures. Print this set of charts on legal sized paper. The charts show short, long, and dotted vowel sounds, basic consonants along with advanced consonant patterns, umbrella vowels, odd o patterns, sounds for y, bossy r patterns, and consonant digraph patterns and any advanced ending syllable patterns that have the digraph sounds. 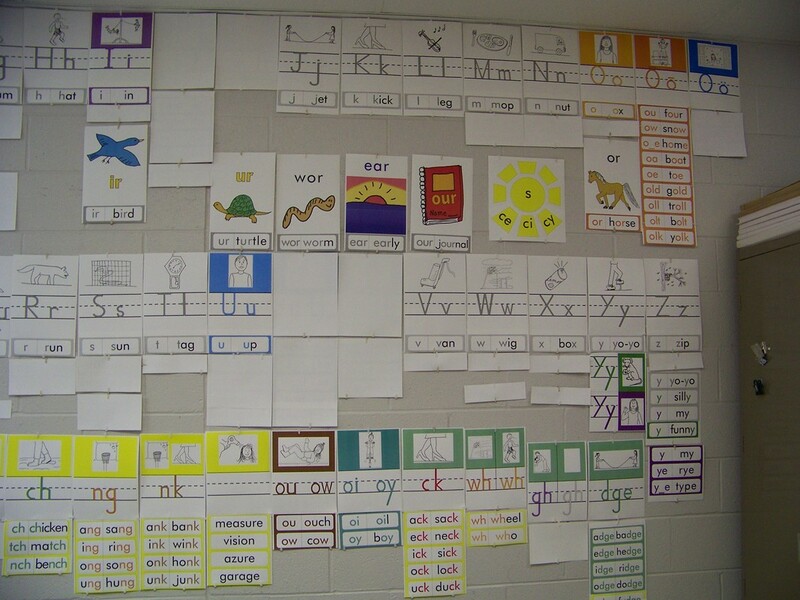 The phonics patterns and key words have color-coded vowels. A sound picture is included on each page. Print these charts on legal sized paper. 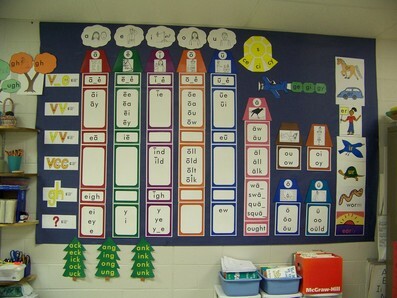 Color-coded phonics patterns and key words are shown for the various vowel patterns. Sound pictures are included on the charts. 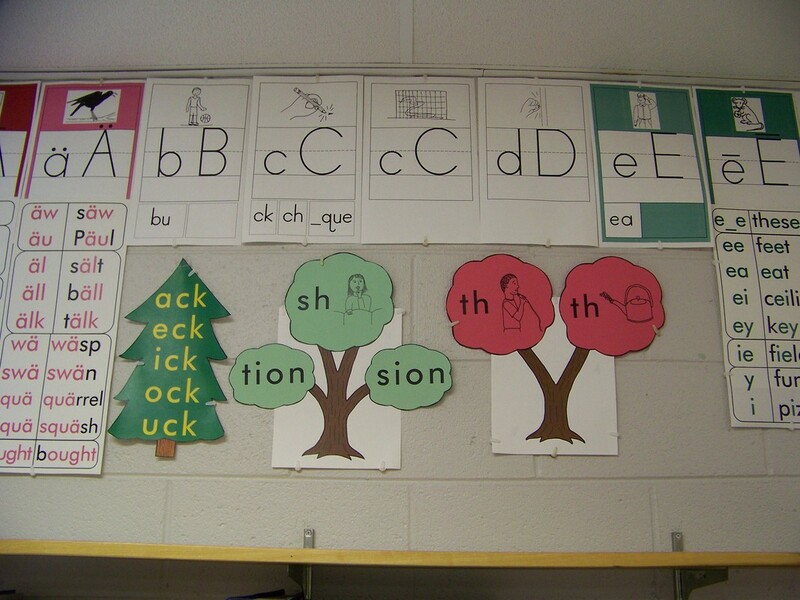 Use these four files to create a phonics wall chart that looks like giant crayons. 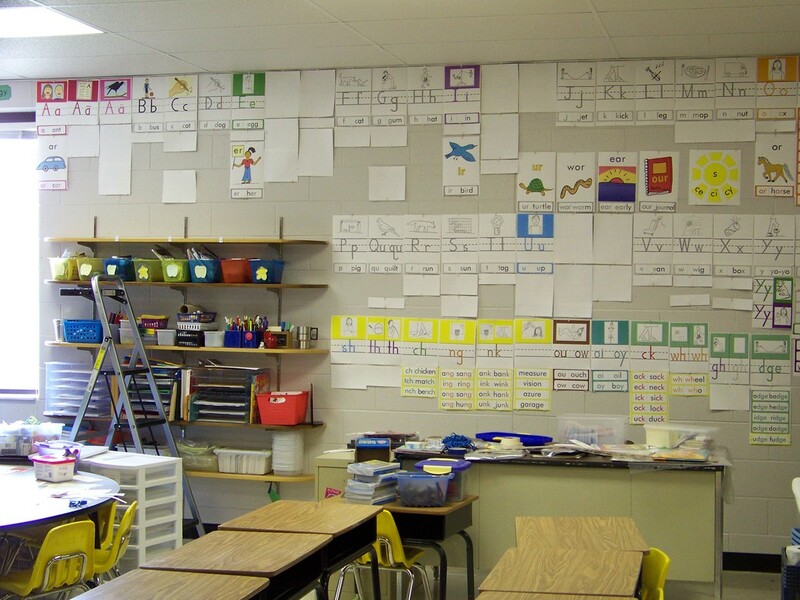 Click on the photos of the crayon charts to enlarge them. The picture on the right shows a combination of the crayon charts with the original version of the Secret Stories charts (see https://www.thesecretstories.com/ for the newest version of those charts - it's a very good program).